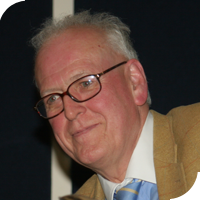 Peter Hennessy studied at St John's College, Cambridge, where he gained a BA in 1969 (and much later a PhD in 1990). He was a Kennedy Memorial Scholar at Harvard University from 1971 to 1972. As a journalist for over 20 years, with spells on The Times, Financial Times and The Economist, Peter unearthed the hidden wiring of the constitution and the power of the machinery of government in Britain. Those themes remained at the heart of his research and teaching at Queen Mary College London when he moved from journalism to academia in 1992. Since then, it has been his aim to write the history of Britain in his own times, for academic and public audiences alike. Peter Hennessy is the Honorary President of Keele World Affairs.